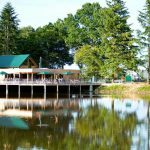 For nature and fishing lovers… Weekend breaks and holidays in the countryside in the Eure-et-Loir! 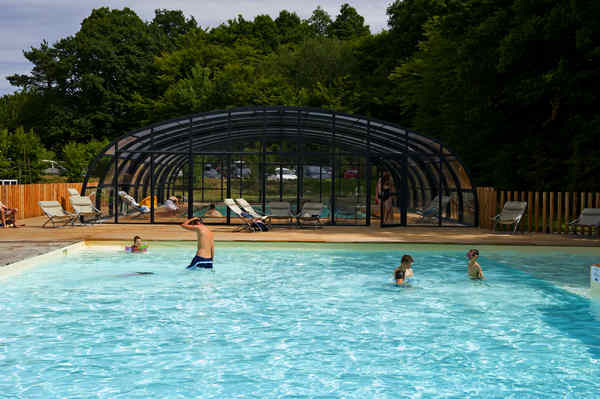 At Huttopia Senonches Holiday Village, enjoy the indoor heated swimming pool, the forest spa and the national forest to relax and unwind just 90 minutes from Paris. 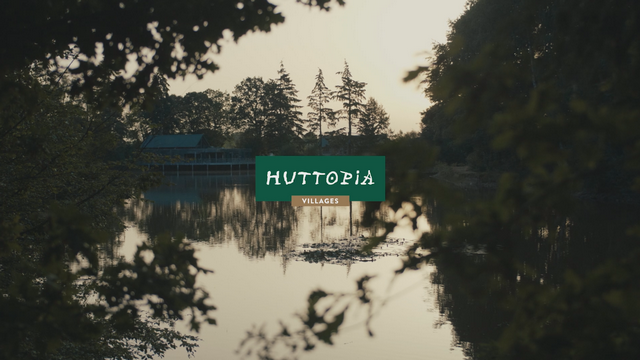 In the heart of Senonches national forest, around Badouleau lake, in an exceptional forest environment, discover the Huttopia Village experience. 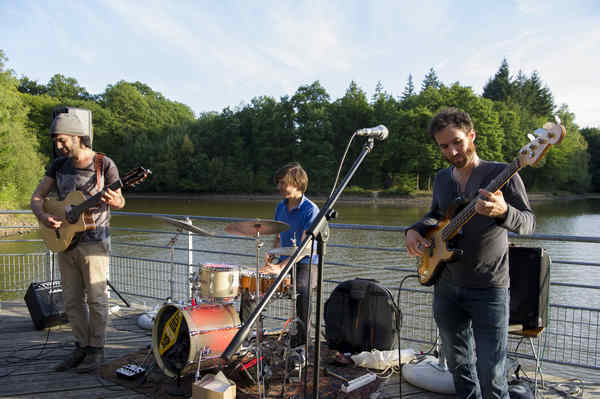 An invitation to enjoy a relaxing change of scenery just 90 minutes from Paris! A rich and varied activity programme awaits you! Discovering the wildlife, trying out new sports, magical evenings, relaxing activities and wellness… There is something for everyone and it’s all included! 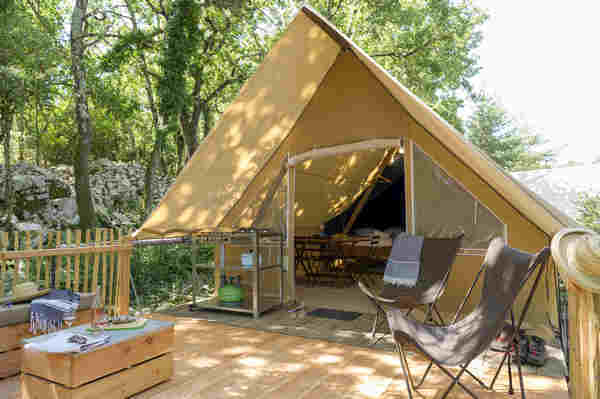 Experience a whole new kind of camping holiday at this naturally magical site! 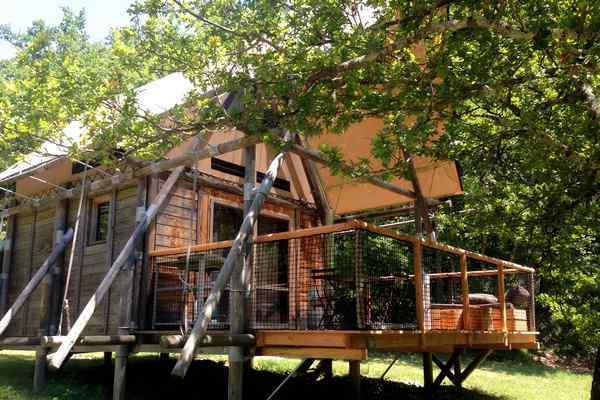 Sleep in comfortable Wood & Canvas accommodation, nestled in a lush, green setting. 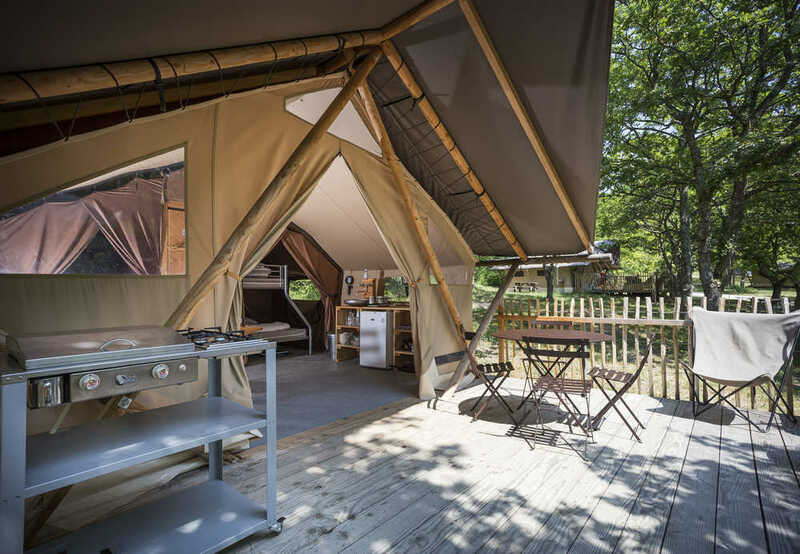 Wood Cabins, Wood & Canvas tents, Cahuttes and even some camping pitches, so everyone can enjoy their holidays in the way they like best at Huttopia Senonches Village! On the programme for your holidays? 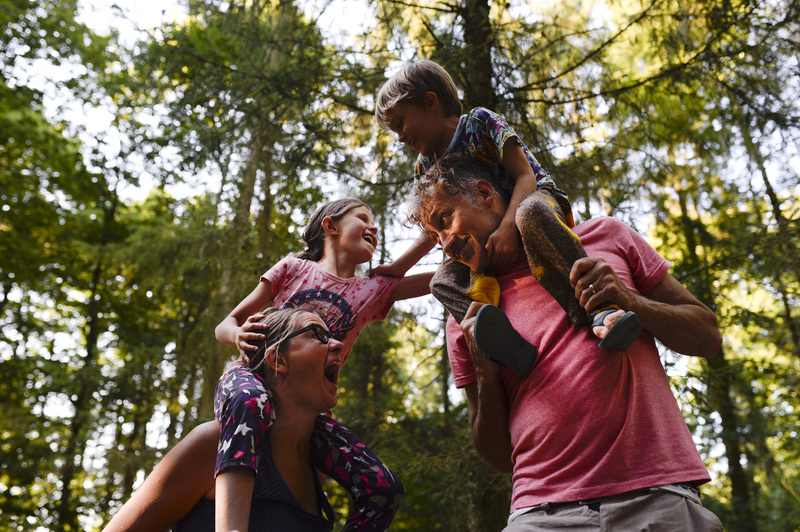 Come back from a walk to enjoy a relaxing break at the forest spa while the kids do a tree high-wire course or discover the joys of fishing. 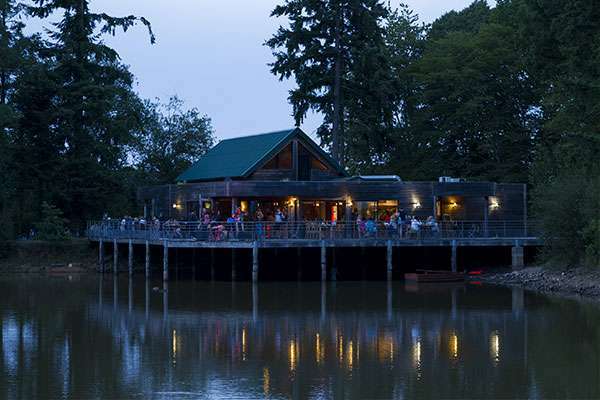 In the evening, around an aperitif with friends on the wooden terrace of the central lodge, which is raised up on stilts above the water, you can admire the views of the lake and the lush, green vegetation. 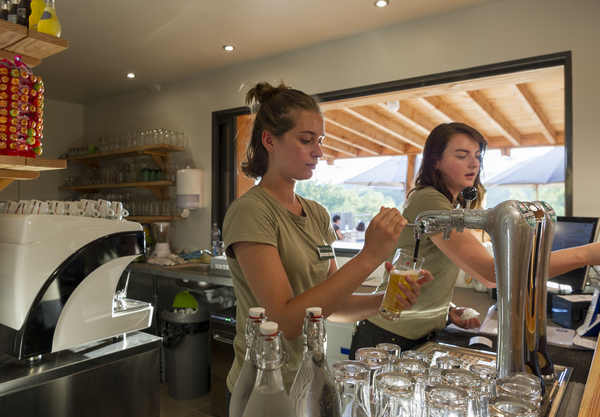 Every day in summer and on weekends throughout the rest of the year, you can also enjoy a quality food service and a bar with a warm and friendly atmosphere. As a couple, with friends, or with kids or teens, enjoy unique moments together, combining relaxation, discovery and escape! 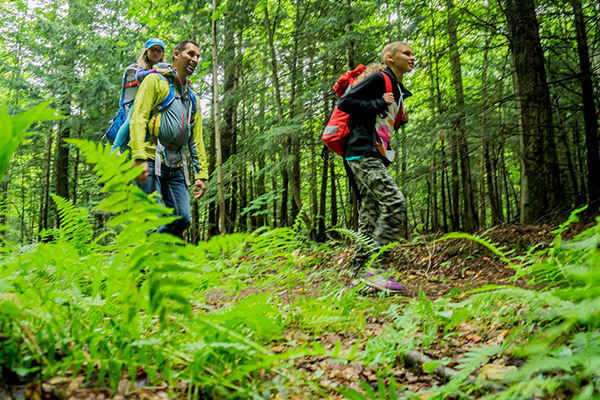 … because we are committed to working alongside the Le Perche Regional Nature Park to find a balance between protecting our lush yet fragile rural area and encouraging human activity. We are contributing to our region’s sustainable development so you can discover what it does best! 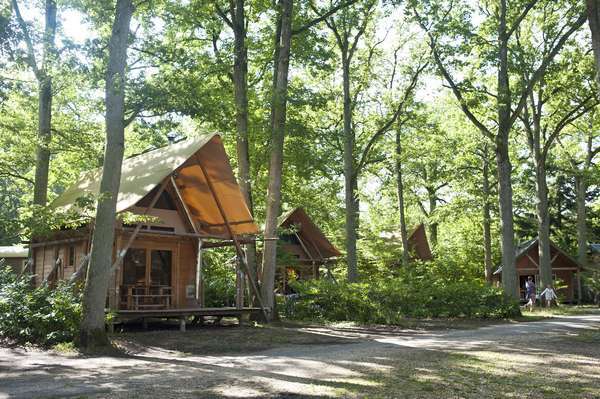 This Village is classed an Hébergement Pêche, guaranteeing fishers a warm welcome, and quality services and equipment for practicing fishing..
Huttopia Senonches Village offers a wide range of comfortable accommodation for a holiday escape in the heart of the Perche forest: fully equipped Wood & Canvas tents, beautiful Wood Cabins, Cahuttes, and some premium camping pitches… There’s something for everyone! 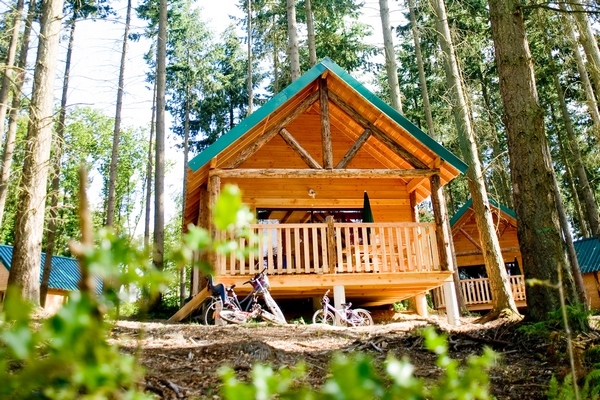 Made entirely of wood and warm in any season with its wood stove, the Wood Cabin is the ideal accommodation for a successful family holiday! 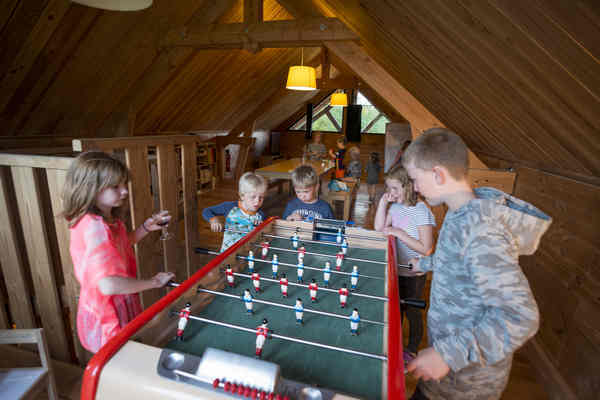 The kids will turn the upstairs floor with its bedroom area into an improvised playroom while parents can relax on its large wooden terrace with views of the surrounding nature. 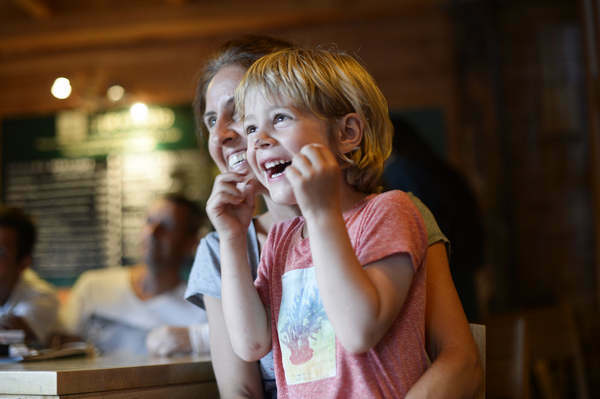 All the accommodation at Senonches village has a large wooden terrace with garden furniture and a plancha grill, so you can get together as a family and enjoy the open air. > Sheets and towels are provided (included in your accommodation package). > And for even more peace of mind, you can choose the options: “Beds made on arrival” and “End-of-stay cleaning”. > If you are on holiday with your baby, don’t worry, we can lend you a baby a kit with a cot and high chair. Just select it when you make your booking. 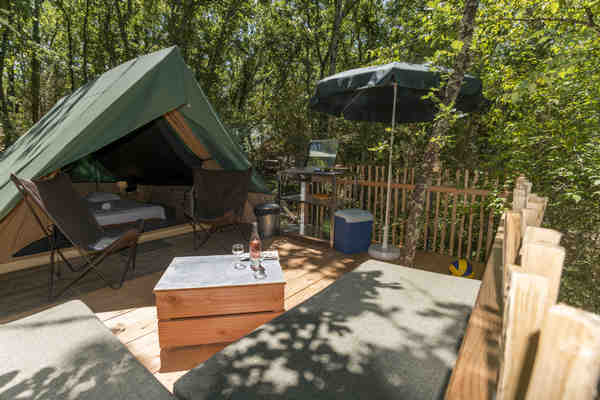 Whether you prefer Wood or Canvas and whether you are staying as a couple, a family, or with friends, you will be able to discover a new way of enjoying holidays in the midst of nature with optimal comfort. Meals shape the rhythm of our days and are a chance to spend quality time with family or friends. Our villages offer simple, quality cuisine every evening in the summertime to suit all tastes. 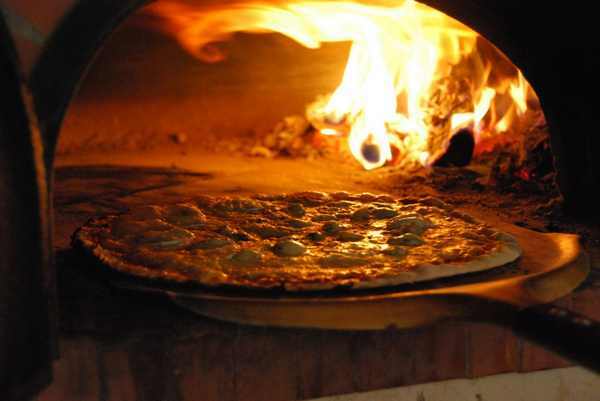 The Pizza Oven or traditional dishes at the Restaurant? Every day has its own style! 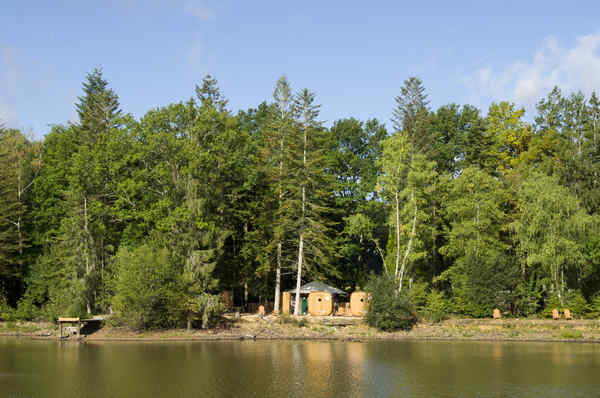 Located in the Central Lodge, with its terrace overlooking the pond, enjoy a traditional cuisine prepared on site. The restaurant is open every weekend in the off-season, from Friday evening to Sunday lunchtime. From 29/05 to 01/06 and from 04/07 to 31/08 every day. Situated near the central lodge, the Pizza Oven is open every summer evening. 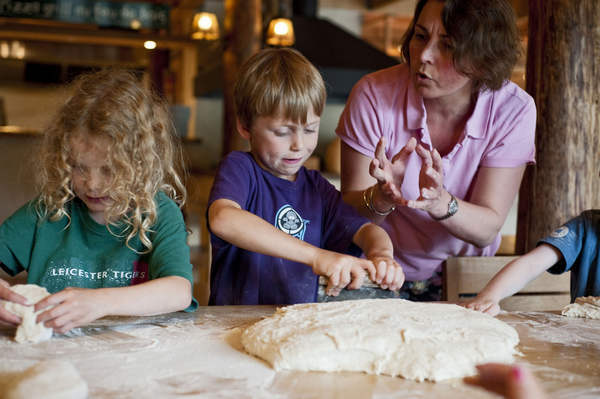 The whole family can enjoy delicious homemade pizzas to eat in or take-away. Order your bread and pastries the day before. Tea, coffee, orange juice, bread and jam, and pastries... Or opt for a breakfast formula at the bar so you have nothing to prepare. 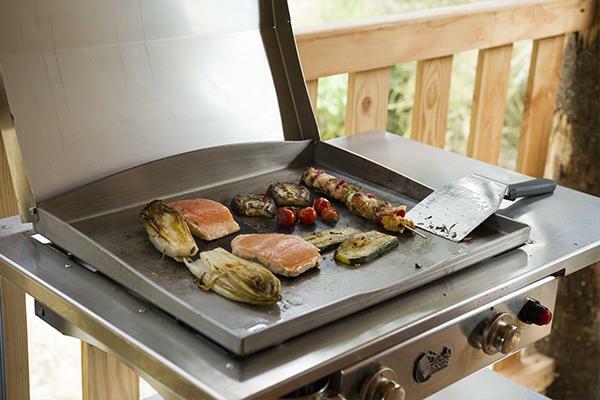 The star of the holidays is the plancha grill, and is awaiting you on your terrace. Enjoy taking the time to cook together as a family! Everything has been thought of! Highchairs so your little ones can eat safely and children’s menus that appeal to older kids! Does your idea of a great holiday mean doing activities, discovering, exploring, lazing around, and enjoying quality time as a family? 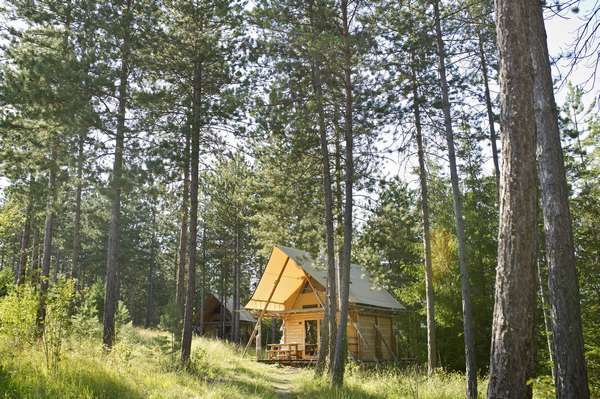 Then the Huttopia villages are made for you! 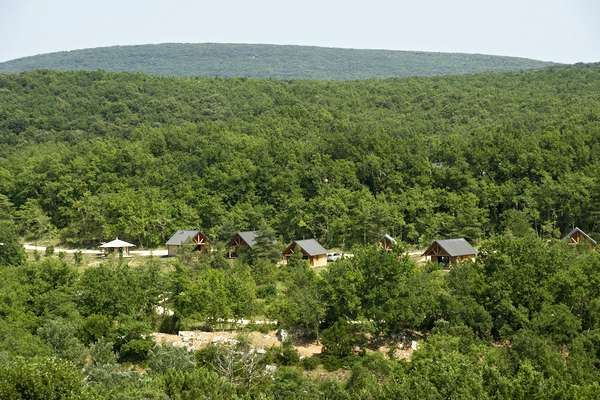 Huttopia Senonches Village offers a varied activity programme in the mornings, afternoons and evenings. Plenty of activities…for free ! 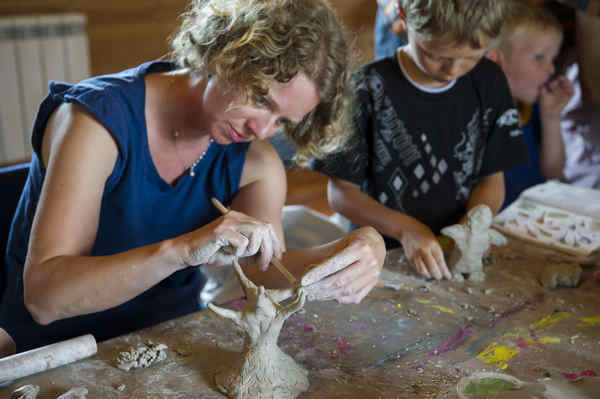 In total, up to 40 hours of activities are offered every week in the summer. And a whole host of events on weekends throughout the season. The hardest part is choosing! Open-air film nights, concerts, giant wooden games, Campfire Night, magic shows, Night Walk..
THEIR VERY OWN ACTIVITY PROGRAMME! Freedom, discovery, games, open air, new friends… Paradise! The guide office is open every day in summer, schedules are variable in low season. 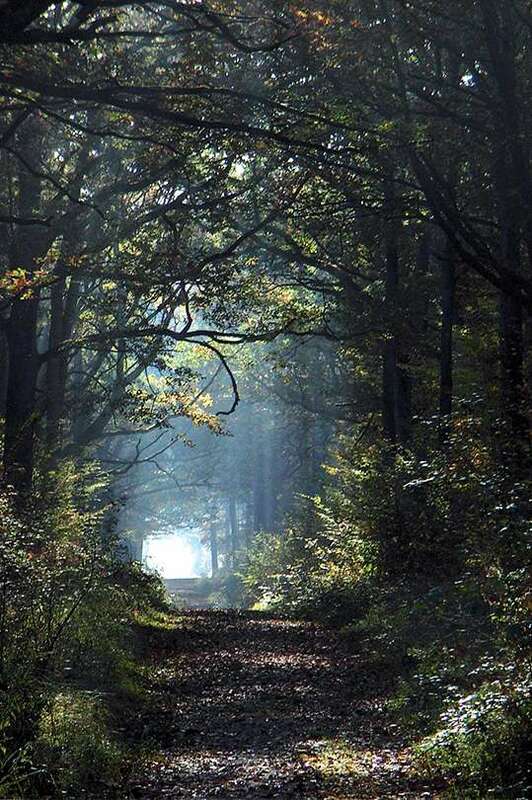 Valleys, farms, forests and beautiful stately homes... there is so much to discover along the footpaths of the Perche! With long-distance hiking trails (GR footpaths), and short-distance walks (PR footpaths), the pilgrimage routes along St James' Way and to Mont Saint-Michel, and the nature trails, you can really take your pick!  The Perche offers several different touristic cycle routes such as the "Chemin des Louvetiers" - a 25 km family route setting out from Senonches, or the Tour des Collines du Perche. You can hire classic bikes or electric bikes on site to explore them! The Véloscénie cycle path also crosses the National Park, via Nogent-le-Retrou. 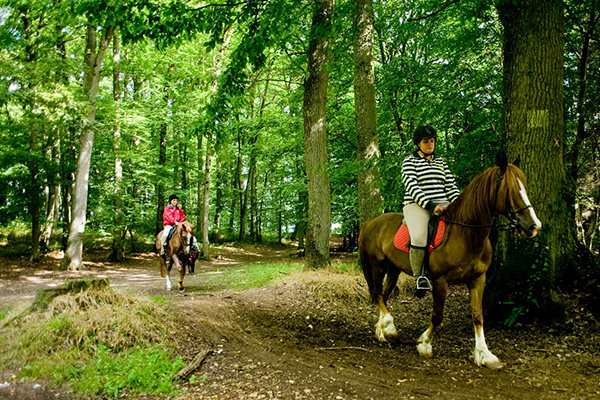 The Perche region with its vast forests is ideal for horseback riding or a simple ride in a horse and cart. Over 250 km of marked trails are accessible on horseback! 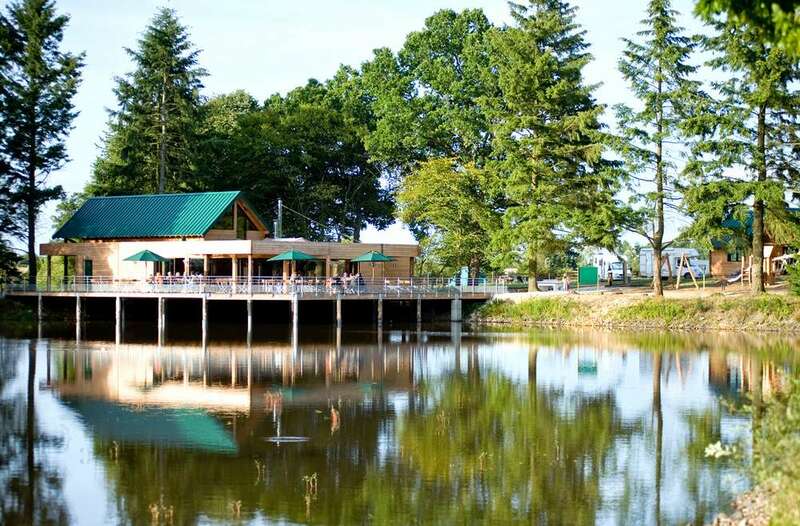 In addition to a completely free activity programme, at Huttopia Senonches Village, you can enjoy quality infrastructure all year round: two beautiful swimming pools one of which is heated and covered, a forest spa on the edge of the lake, leisure facilities… Get active, relax, have fun, learn, and laugh… Everything has been done to ensure your camping holiday in the Perche is an unforgettable one! 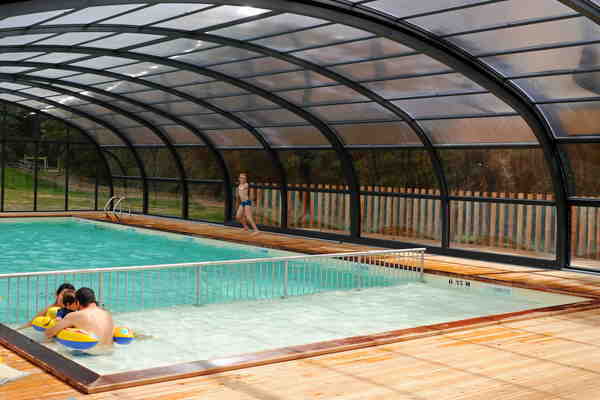 Two lovely indoor and outdoor pools await you at Huttopia Senonches Campsite/Village (from 12/04 to 03/11). 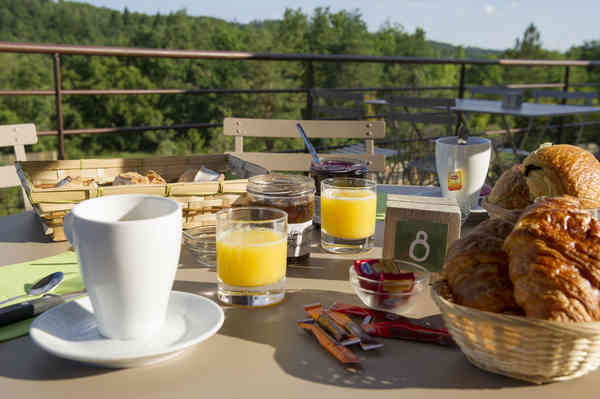 Settle back comfortably on your sun lounger on the wooden terrace, and admire the views of Senonches forest. And, so you can enjoy swimming all season long, one of the two pools is covered and heated! 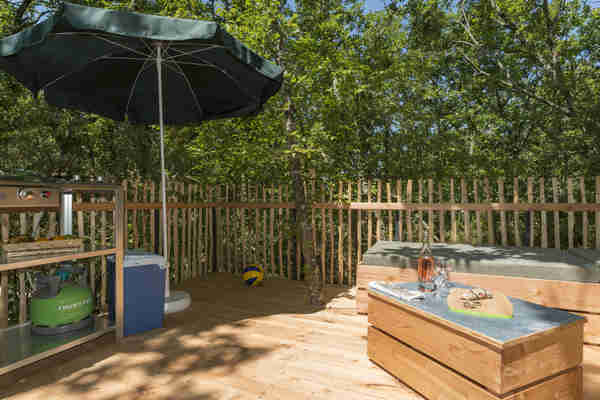 At Huttopia Senonches Village, babies and toddlers can discover the joys of swimming in complete safety! What happiness! Boating on the lake? An afternoon learning how to fish? 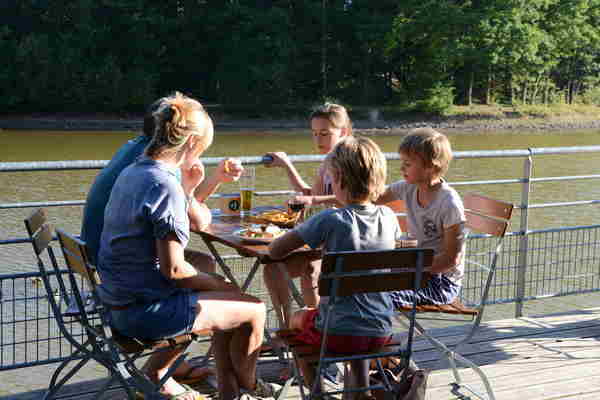 Have fun with the family at the water's edge! There are boats and fishing equipment for you to borrow, and fishing permits can be bought on site. FACILITIES FOR YOU TO HAVE FUN! 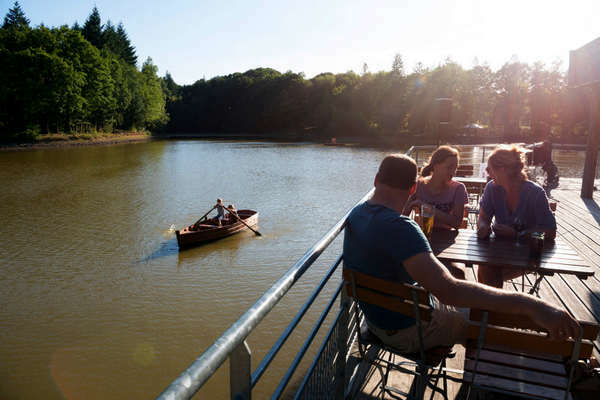 Ping-pong tables, petanque and volleyball courts, bike hire, and boats for you to borrow to go rowing on the lake... Everything has been thought of so you can enjoy magical moments! A warm and cosy central lodge where you can get together to play a board game, immerse yourself in a good book, or watch a film. From its pretty terrace on the edge of the lake, you can admire the views of the surrounding nature. 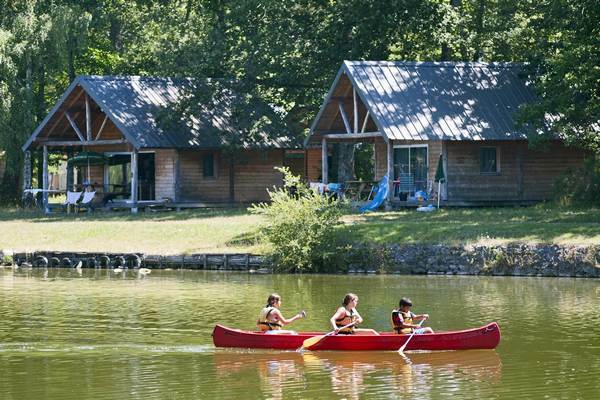 A bucolic setting for enjoying quality time together as a family! 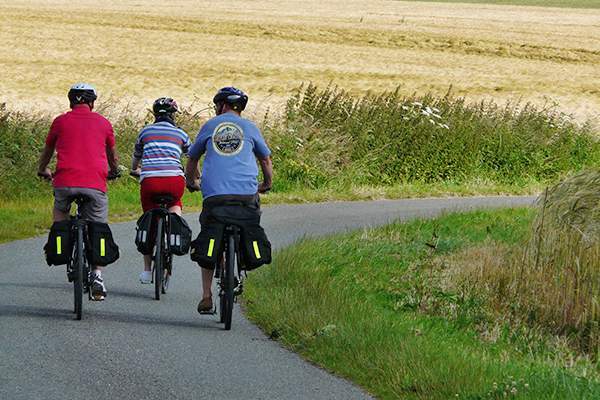 Hire electric bikes and set out with your family or friends to explore the most beautiful trails in the Eure-et-Loire! A flexible means of transport, accessible to all. 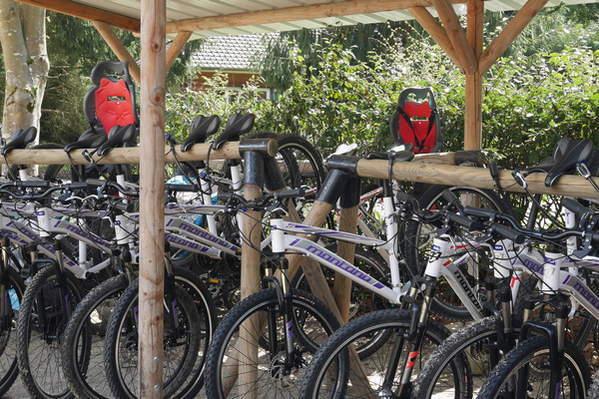 Huttopia Senonches village is even classed an "Accueil vélo" cyclist-friendly site! FACILITIES DESIGNED ESPECIALLY FOR CHILDREN! 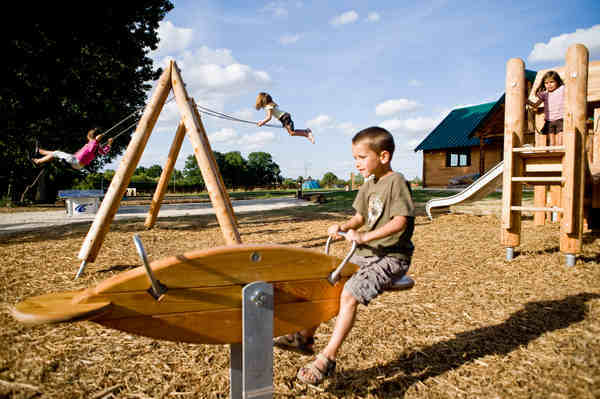 > A large playground for kids to make friends! > A paddling pool in the pool area so they can safely discover the joys of swimming. 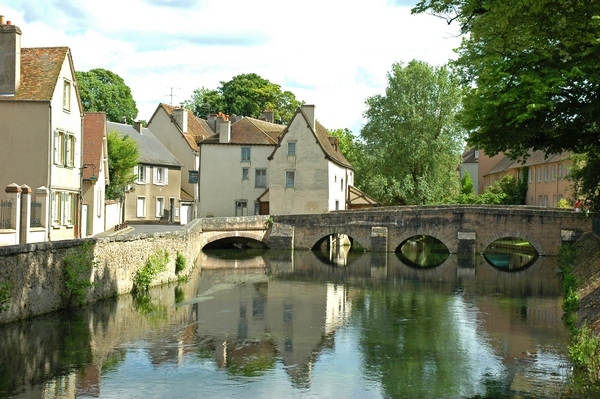 The village de Senonches in the department of Eure-et-Loir benefits from s a wonderful cultural and historical heritage and is a marvellous place to discover with family or friends. Senonches is surrounded by one of the biggest state forests in France (managed by the National Forestry Office). 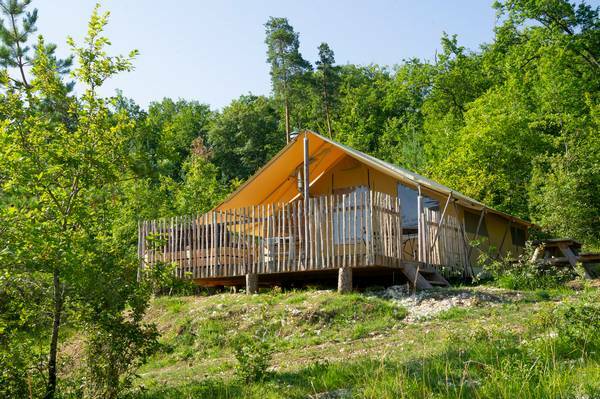 It boasts numerous rambling trails through the forest or around Senonches, where you can admire the lush landscape of Le Perche. 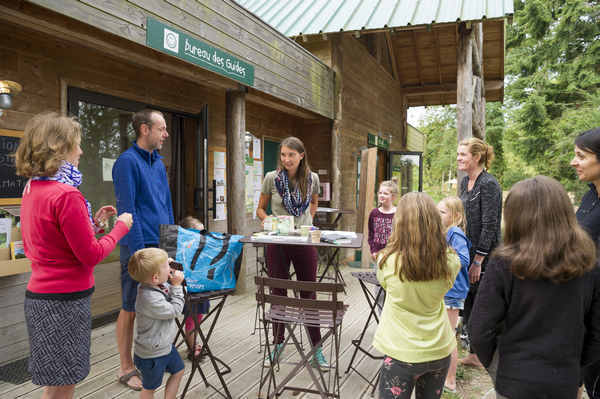 Water is an important resource in Senonches and neighbouring villages and you can discover the former washhouses, springs and several rivers, pools and ponds (including Badouleau pond in the heart of the Huttopia campsite). Thanks to its unique environment, Senonches has been awarded the “Station Verte” (Green Resort) label. With forests, hills, copses and grazing land to admire, ramblers will feel spoiled amid a unique natural environment and authentic landscapes. This is the ideal place go for strolls with family or friends. You simply must take a unique carriage ride to discover the region’s beautiful natural environment. 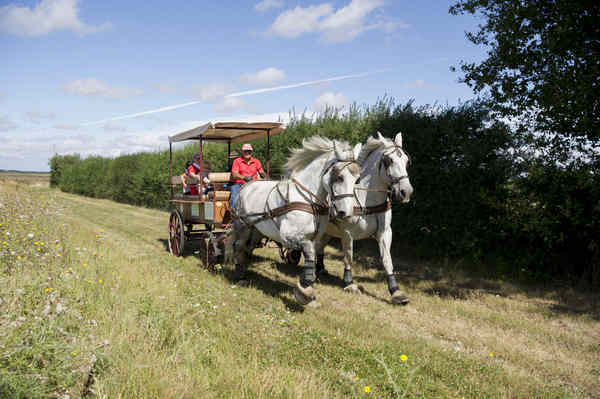 The carriage is pulled by percherons, the famous draft horses of Le Perche. 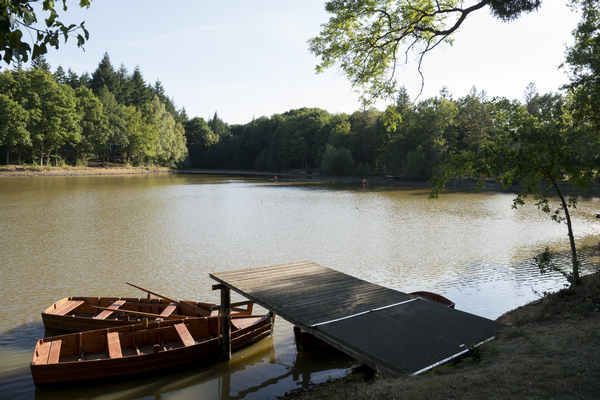 Fishing enthusiasts will be in their element here as ponds, pools and rivers are dotted all over Le Perche’s landscape. So consider bringing your fishing gear (rod licences are available from the campsite’s reception). Included with the pitch: 2 people + 1 vehicle + 1 installation. The Huttopia Senonches Village is completely pedestrian. The pitches are not accessible by car. 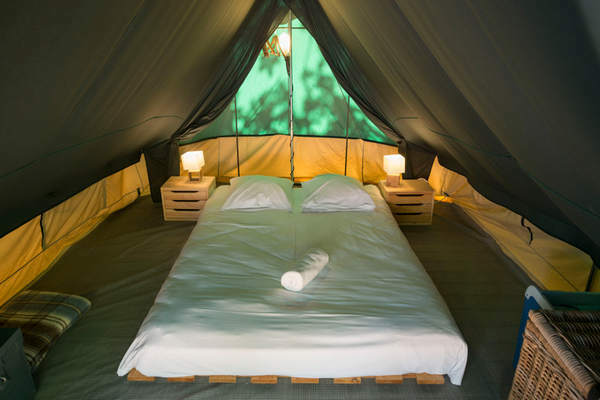 They are reserved exclusively for campers with a tent. 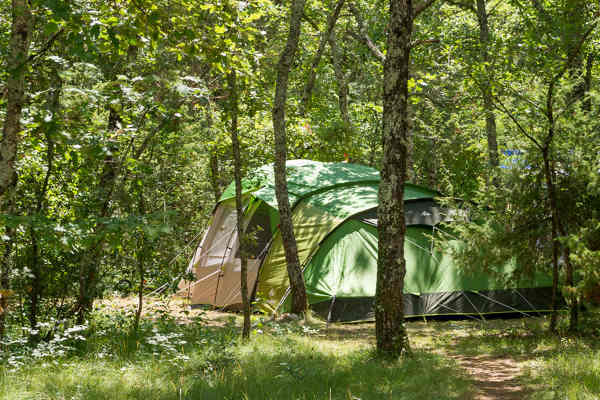 It was difficult for us to get on the campsite with a trailer tent, there was noise from construction at the park next door , our pitch was a new pitch (A) and not as woodlands as all the others . All of the events that we wanted to take part in that were included in the price were booked up. The sauna was nice. We really loved our stay.